Kathryn Knowles, Managing Director of Cura tells us why 2018 has been the "Year of the Woman" in financial aervices. I am a woman. It is something that empowers me and also makes me vulnerable. As a woman, I have always felt that I need to show and prove that I am equal to any man. Something I have done since childhood. I am empowered. But at the same time, isn’t that sad. That as a child, even now as an adult, I feel the need to fight to be seen as equal. I shouldn’t need to be a woman in business, a woman in finance, a woman balancing work and children. I should just be. I have experienced inequality as a woman, professionally and personally. What I love at the moment, is that I do not feel like this within the insurance industry. No longer, do I get greeted with, “Oh you're Alan’s wife”. Don't get me wrong, I am very proud to be Alan’s wife, but I would rather people recognise me for the work that I do in my own right. Now they do. 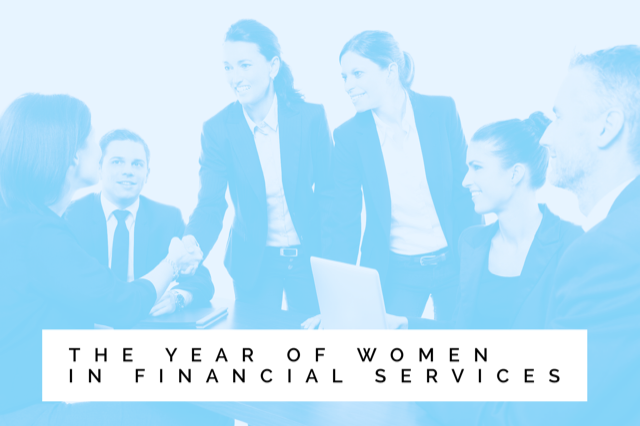 This year, feels like the year of the woman in Financial Services. I have sat amongst the highest representation of women speakers at the Protection Review conference, there has been the first Financial Reporters Women’s Recognition Awards, and Professional Advisers Women in Financial Advice Awards. The Chartered Insurance Institute now has an Insuring Women’s Futures programme. The opportunity for women to standout and distinguish themselves within finance, has skyrocketed. Myself and other women that have had access to all of these events, have a real responsibility to use this momentum to become role models for others in society. We need to show that working in finance isn’t a man's job, it’s an anybody who is interested in finance job. I am not sure how to ensure fair representation of women in Financial Services. I would never want a woman to get a job over a man, simply because she is a woman and fills a gender diversity quota, everyone should earn their place. But the fact of the matter is, Financial Services is still very male dominated. I think there is still the battle against social expectations and mindsets, of how women can do a job. Men are often seen as assertive, driven and focused. A woman saying the same thing can be seen as bolshie, high strung, unable to separate her emotions from her work and make rational decisions. I can certainly get emotional when I am at work, I am human, I am passionate about what I do. That does not make me any less capable of doing my job, in many ways that passion, that desire and fire to be the best, makes me work harder and achieve greater things than if I simply remained impassive. A big step in fair representation is having support from our male counterparts. From my experience, at the Protection Review and other events, I have felt nothing but complete support from my male and female peers. In fact, many have applauded the fact that I own a business, have three young children and have not yet gone insane. Women often put their careers on hold to raise a family, as I have done. As an industry we need to engage career starters, but also not forget that women returning from maternity are equally important. I have known female advisers that have lost their authorisation as an adviser because they took maternity leave, having to resit their exams upon return to work so that they can continue their job. We need to ensure that returners to work, men or women, are given sufficient support to balance family and work life. Working from home and flexible hours, are all key to supporting parents at work. I am not sure of the best ways to increase the representation of women in the industry. I think women are standing out and being recognised more across society as whole. I feel very proud, to be part of an industry where women are quickly shining in the spotlight, we are here and we are roaring.